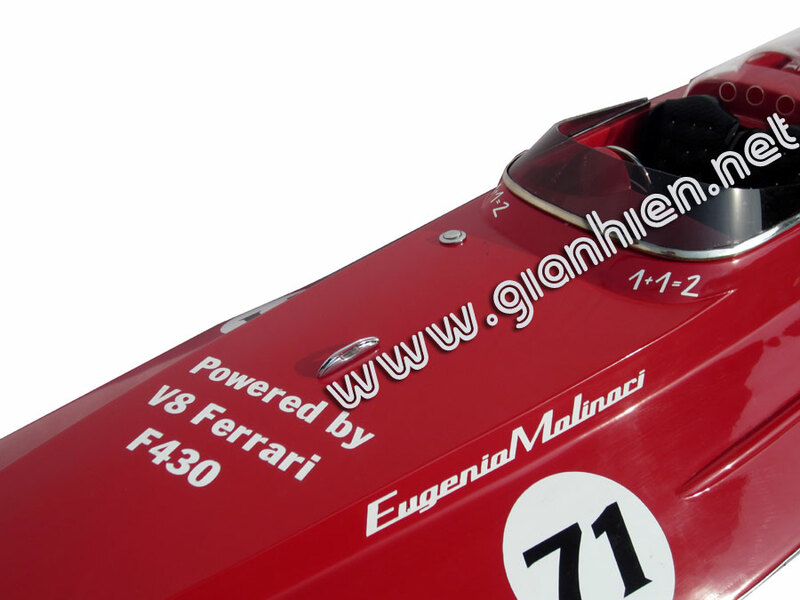 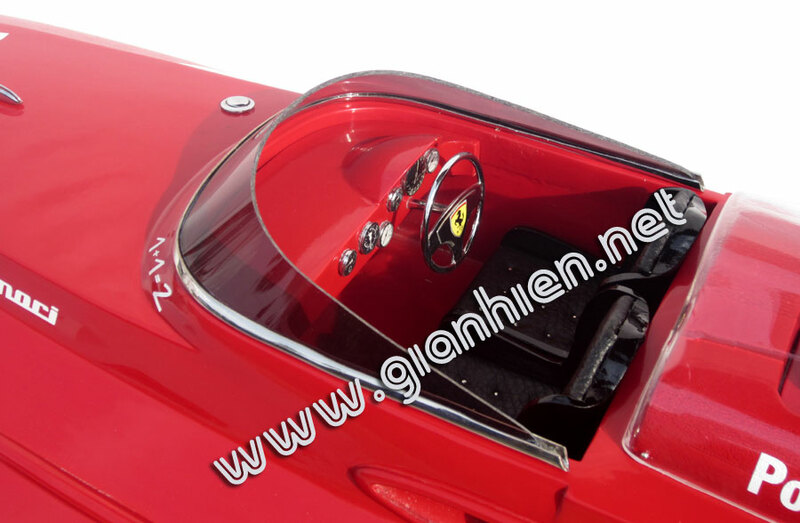 Designed by former F1 champion Eugenio Molinari. 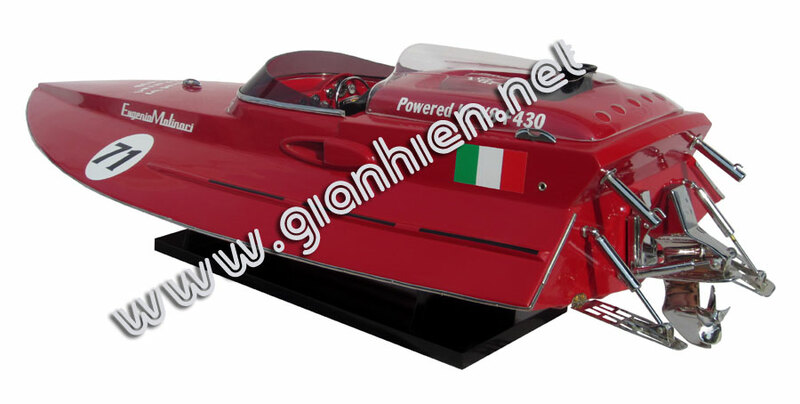 This speedboat uses a production engine from a Ferrari F430, displacing 4308cc, the mid-mounted engine develops 490bhp at 8,500rpm with max torque of 465Nm at 5,250rpm.. 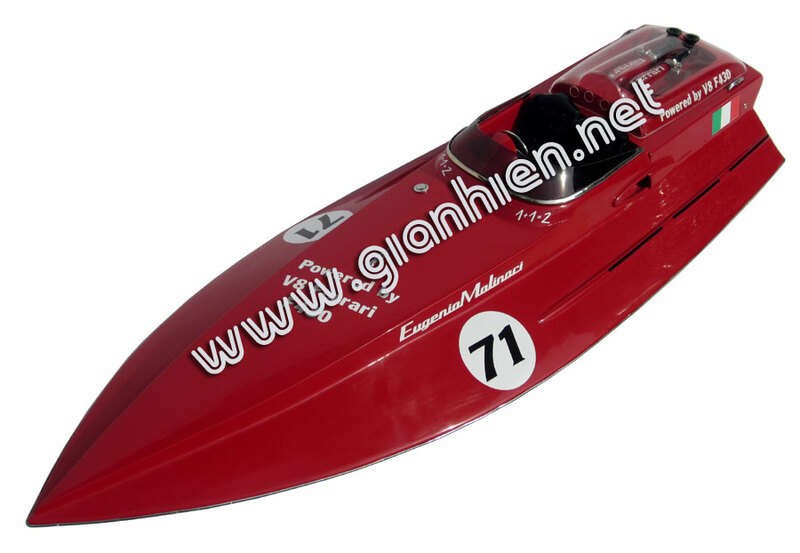 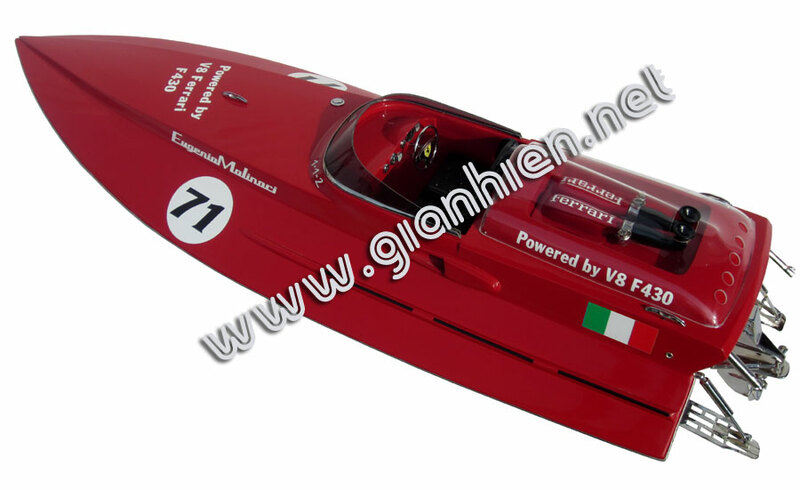 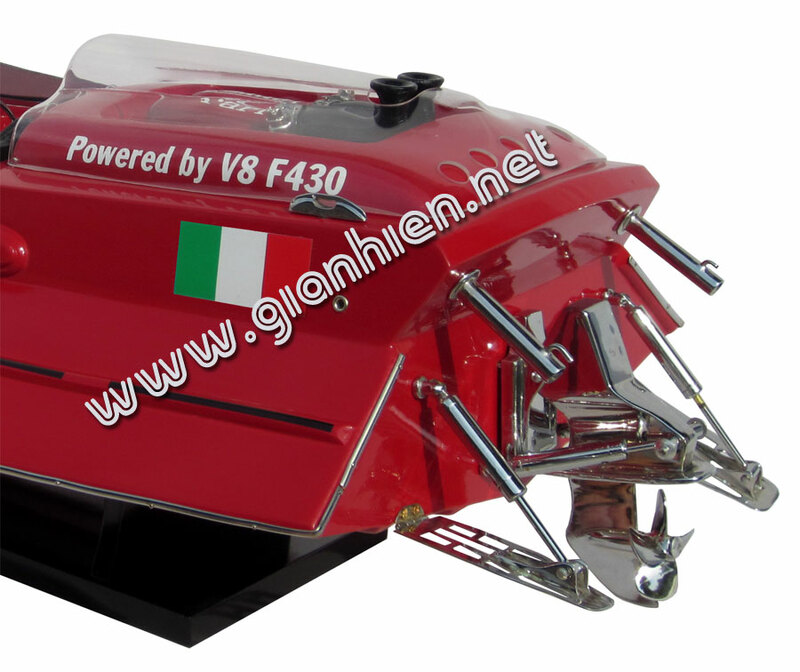 The boat broke the running kilometer world records in two categories on Lake Como, Italy. 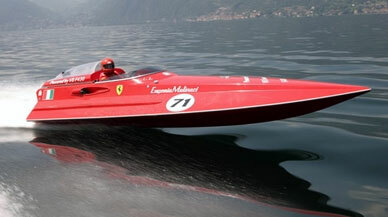 At 1,100 kg, he ran the kilo at 123.3 km/h, and at 1,450 kg, he did 122 km/h. 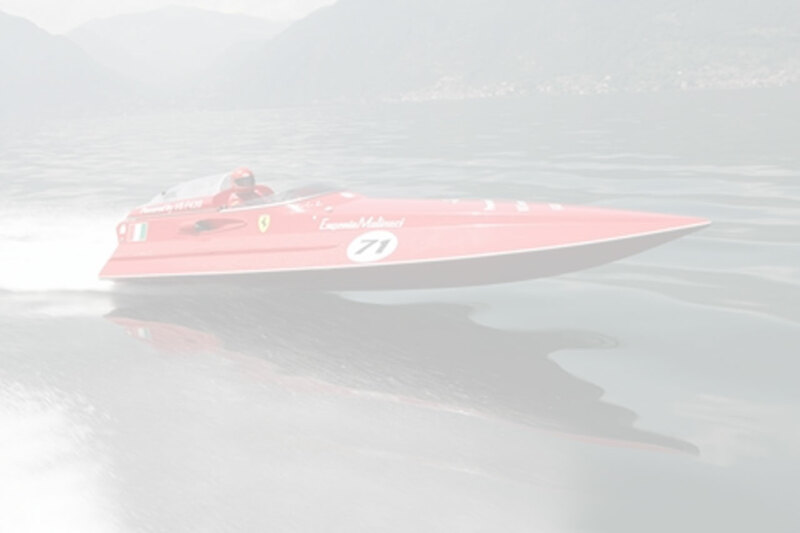 At the end of the event, 71 year old Molinari dedicated the achievement to Ferrari boss Luca di Montezemolo and the brand’s 60th anniversary.